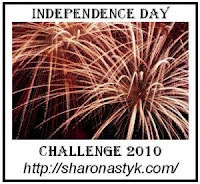 I've been reading chapter 8, "Eating From Food Storage Every Day," in Sharon Astyk's book, Independence Days. One of the things she addresses in this chapter, is food stigmas. I have experienced this. When my children were small, I told their Louisianan great-grandmother that I wanted to have a summer garden and preserve as much as I could from it. Since she had done the same for many, many years, I thought she would be pleased to hear this. Instead she was shocked and disapproving. "Why in heaven's name would you want to do that!" she asked. "You can afford to buy food." My first husband, who grew up in her home, carried this attitude into his adult life. Not in regards to gardening and preserving food, but he would buy things simply because we could "afford" to. Whether it was gas at a more expensive gas station, or eating at an expensive restaurant, it was important to him to show that we had money to do things. In fact, when I wanted to cut up our credit cards, he refused because we could "afford" to be in debt. Of course, this went against my frugal grain, and as you can imagine, was the primary source of disagreement between us. It's probably no surprise that he was never interested in having a garden. Sharon speaks of a slightly different food stigma, that of "poor people's food." Her point is that as Americans, we see a staple diet of basic foods as something only poor people eat. We are accustomed to food variety via our grocery stores, to the point where this is our "normal," even though such luxury is quite recent in the history of human civilization. Food stigmas are stumbling blocks to creating a food storage. That and the idea that only radicals and doomsdayers stockpile food. But consider this. What if the breadwinner in your family were to lose their job and couldn't find work for several months. This has happened to Dan and me. The first time he was unemployed, we had no food storage and it was horrible. It lasted long enough that I started skipping all but one meal a day in order to have enough food for my kids. Our cupboard got down to having only a jar of peanut butter and a box of stale ice cream cone cups. That was breakfast for about a week. Canned pork and beans and 25 cent boxes of mac and cheese were our dinner. The second time was while we were preparing for Y2K, and we did have food storage. DH was out of work for several months, but we ate well. Well enough to not notice that we couldn't afford to buy food. What a difference. Those experiences are why the Independence Days Challenge is meaningful to me. It's motivating me to get serious about our food storage once again, and weekly blog updates help keep me on track! Used an old cardboard box, wood ashes from the woodstove, and some sandy soil to make a dust bath box for the chickens. Had our first salad with ingredients solely from the garden: included raw broccoli; thinnings from beets, lettuce, & spinach; a few cabbage leaves; grated carrot & turnip; and sliced radishes. Ate the last butternut squash, halved, seeded and baked with honey and butter. Yum. This post was very interesting, about food stigmas. Thanks for the insight! Thanks for visiting my blog! What a nice big garden you've got--and it sounds like you're already harvesting quite a bit! I was lucky with the ramps. There's a local plant sale with people selling stuff they've dug up out of their yards and gardens, and I've found ramps there a few times. A couple $2 pots, and now they're starting to spread. Good luck to you! Maybe if you asked on Freecycle or Craigslist or something you could find some locally? I grew up in post war Britain with parents that fed us enough food but no extra. When I was living in Canada in the early 70's, I was glad that I had that background. My first job was on a fruit farm down in the Niagara peninsula. The farmer kept me on to work until late October when they couldn't afford the extra mouth to feed. I got myself a job for 6 hours a week on a Sunday afternoon, and managed to rent a bedsit and feed myself on the $37 I earned. Until I got more hours of paid work I walked everywhere I needed to go. I became an expert on feeding myself on rutabagas and other root vegetables which I often got cheaper as the market was closing for the day. Now I have a larder with supplies of lentils, nuts and other dried goods so that there is always something to eat. At the moment I am hoping to keep the last of the overwintered kale from being cut down as it is such a shame to demolish plants that are still producing. Tonight's supper will have some tiny Brussels sprouts and newly sprouted broccoli, both just being cleared so that we can plant our outdoor potatoes. I think the worst parents can give to their children is the attitude of: why make yourself,when you can buy:(( it's the same over here: since ireland has left the poor times of the past, most people look down on weirdos (like me:)), who make stuff themselves, where they can. only poor people "have to" knit, make food etc. now times are going leaner again - and already a lot of people don't know how to cook, knit or make other stuff themselves! never mind the fact that the country is well over its head in debt - some people still don't get it..... frightening really:(( I think even though credit cards can make life easier in some ways - they really are one of a number of factors why so many people are in such dire situations today. Lynn, it's something most of us don't even think about, do we? Yet it has a profound effect on what we will and won't eat, and what we will and won't do in regards to food. Lise, what a good idea! I asked for comfrey on Freecycle, but no joy. Will try for ramps, and on Craigslist too. Mary, that is so interesting. The best part is that you learned from it and have kept the lessons from that part of your life. It seems too often folks go overboard the opposite way, as if trying to erase the memory of the experience. I have a hard time pulling out plants that are still producing too! Bettina, very interesting about the Irish attitude about gardening and making things oneself. It is similar in the Appalachians, amongst families who have been here for generations. They absolutely do not understand the newcomers' desire to go back to the very ways they are trying to get away from. Linda Sue, thanks so much for the blog visit and comment. I really enjoy meeting others with similar interests. Our fig trees came with our land, which was badly overgrown. I "discovered" them when I started to clear out the brush. I don't know what type they are, but was delighted to harvest figs in August, and having enough to eat fresh, dehydrate, can, and make fig jam from. The best of luck to you in this. Do let me know how it works out! I did, I started some of my garden in little greenhouses. I also started some flowers. Poor people food stigma - interesting. Now poor people eat empty calories and fast food because it's cheaper than real food. I'll pass. Just thought you'd like to know, I've already planted a few seeds from the giveaway. I hope to plant a few more within a week -- when I get back from being out of town.